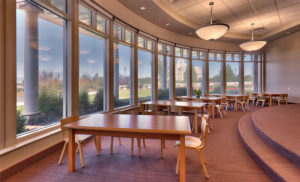 The year was 1998 and it was Curtis Miner Architecture’s first project: Design a school that blends faith-based learning with the ideals of American liberty and freedom. 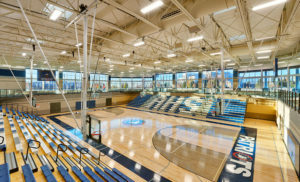 Hard work, a strong design concept, and a client with a passion for its own mission made the American Heritage School an enduring success. 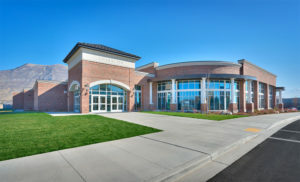 A private, faith-based school across the street from Mount Timpanogos Temple in American Fork, American Heritage School began with a design competition for a new 90,000 SF facility to replace a building the school had outgrown. 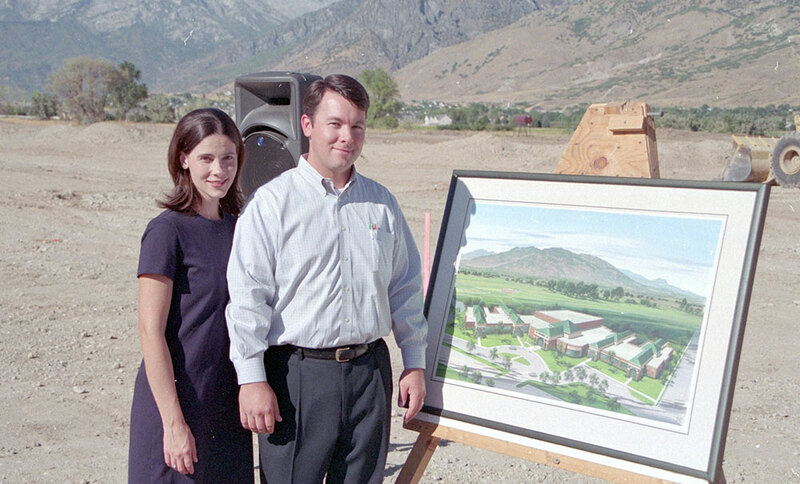 Curtis Miner was in the process of starting his own business when he was asked to participate. He may have been tentative in responding, not sure he could win the competition, but Curtis felt strongly about his design approach: it was his duty as an architect to honor and uphold the school’s values in his work. 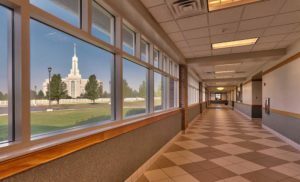 “Where most buildings have an internal focus, I believed the school’s mission could be best represented by the temple and its values, so I designed the project so that the temple across the street became its focus,” he says. Where the design motifs celebrate the school’s core values, the materials, massing, and details on the façade of the building pays homage to the concepts and principles of the founding fathers. 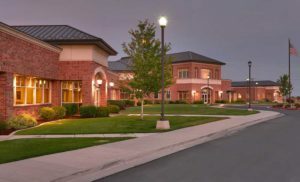 “Gaylord Swim, the Chairman of the Board in 1998, wanted colonial details like an Old Virginia red-brick style building. 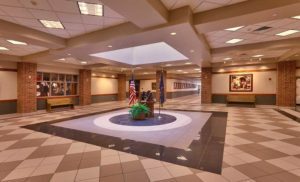 This tie-in to America’s founding reminds the school community of the providential hand in the founding of this country and makes the building timeless and beautiful,” says Curtis.